This week brings the 1969 Fall Season into sharp focus with the debut episodes of several familiar series as well as the returns of others - some on new networks. The new season highlights some strange times for television, a curious blend of the old and the new that often fits awkwardly. Take, for example, a review of the recent Miss America pageant by Scot MacDonough, who calls it a "damsels-on-display affair that, in reducing 50 live girls into wind-up, vaseline-varnished robots, was enough to turn even the die-hard bird watcher into a confirmed misogynist." Among the painful highlights was Bert Parks, singing "You can't be caught nappin'/with your generation gappin'," and a singing group called the Statements, which "struggled with original tunes containing lyrics like "When I cry, my nose gets red/and I could die'." MacDonough describes it all as a "now" look for a strictly "then" show, which I think sums things up nicely. As I've said before, it's like seeing your parents trying to act hip around your friends - in the end, you disavow any knowledge of their existence. Let's see if things get any better. Andy Williams returns to weekly television after a couple of years' absense, with a Saturday evening variety show (6:30 p.m.) that, if I remember correctly, is a little sillier, a little less smooth, a little too much "with it" compared to his previous series. Nevertheless, it's always nice to have Andy around; his guests tonight are Petula Clark and Don Ho, with cameo appearances by, among others, Jonathan Winters and Professor Irwin Corey. After that it's the second season opener of Adam-12, with Butch Patrick, of Munsters fame, as one of the guests. At 8:00 the network's Saturday Night at the Movies presents the 1967 romantic comedy "A Countess From Hong Kong," which one would think would have been a hit - what with it written and directed by Charlie Chaplin, and starring Marlon Brando, Sophia Loren, and Tippi Hedren. Alas, says Judith Crist, the movie comes a cropper, "cliche-ridden, old-fashioned and naive," and "primitive in its technique, execution, sentiment and humor." The highlight - perhaps the only one - is a cameo by Chaplin himself. Sunday night starts with a CBS documentary (6:30 p.m.) detailing a year in the life of the Windsor family, the titular head of which is Prince Philip, but we all know that his wife, Queen Elizabeth II, is the star of the show. The Royal Family is portrayed as "warm, witty and close-knit," which I suppose is all well and good. Liz had only been Queen for 17 years at that point - could anyone have possibly foreseen that 48 years later she'd still be on the throne? I doubt it. Here's a clip, and look at how young they are! *In TV Guides from a few years earlier, they would have been referred to as "the rockin' 5th Dimension," but now we know better. ABC tries something new on Monday night: a pair of 45-minute shows. The Music Scene is first up at 6:30 p.m., highlighted by a taped appearance from The Beatles, followed at 7:15 by The New People, a cross between Lost and Lord of the Flies maybe, with a properly diverse cast. Here's Lucy is back for a second season on CBS at 7:30, and at 8:00 Mayberry R.F.D. opens its second season with a guest appearance by former sheriff Andy and his now-wife Helen - a sure ratings gambit. Opposite that, NBC's got a gambit of its own, the start of Bob Hope's 20th season on the network, with over two dozen comedians as special guests. Flip Wilson is one of those guests, and at 9:00 he hosts his first TV special (his series won't begin for another year), with Andy Williams, Jonathan Winters, Arte Johnson, and Jackie DeShannon as guests. 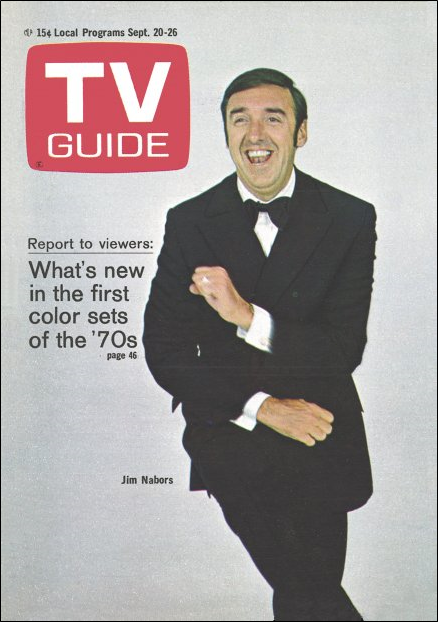 I don't know how well it'll do though, up against Carol Burnett in her third season premiere, with her traditional opening-night guest Jim Nabors. I think Tuesday provides us with one of the more interesting programming days we've seen, starting at 7:30 p.m. with the debut of ABC's Movie of the Week series of made-for-TV movies, and there were some fine movies included in that run. Whether or not "Seven in Darkness," the story of seven blind survivors of a plane crash, is one of them, I can't say. If you're not sure either, try out The Red Skelton Hour at the same time on CBS, which includes - I kid you not - a performance of "In-A-Gadda-Da-Vida" by Iron Butterfly. (What was I saying before about culture clashes?) At 8:30, CBS premieres The Governor and J.J. (more about that later), but the real story is the debut at 9:00 on ABC of Marcus Welby, M.D. one of the most sucessful programs in the history of ABC. Wednesday's headliners are Glen Campbell, starting his second season with the Smothers Brothers, Barbara McNair, and folk singer John Stewart as guests. (6:30 p.m., CBS) Later on, at 9:00, CBS rolls out its long-running doctor series Medical Center, with Chad Everett and James Daly trying to treat a college football star (O.J. Simpson) suffering from mysterious headaches. At 9:00, the venerable Hawaii Five-O opens its second (of twelve!) seasons on CBS, and the independent station, KDNL, shows the movie "The Scarface Mob," the pilot for The Untouchables. The ad campaigns for the three networks: ABC busy and bold, CBS minimal and offbeat, NBC artsy and to the point. Friday begins with Get Smart at 6:30 p.m., moving to CBS after four seasons on NBC. That's followed at 7:00 on ABC by the premiere of a long-running and much-loved sitcom that, in this first episode, features the wedding of a lovely lady and a man named Brady. At 7:30 Hogan's Heroes (CBS) kicks off its fifth season with a very funny episode in which Hogan cons the Nazis into letting him direct a "propaganda" movie for them, starring a captured American actor, as a cover for blowing up a bridge. At 9:00, ABC launches one of those series that causes you to wonder just who in the world thought it was a good idea to mix Jimmy Durante and the Lennon Sisters. You'll have just 16 episodes to find out. 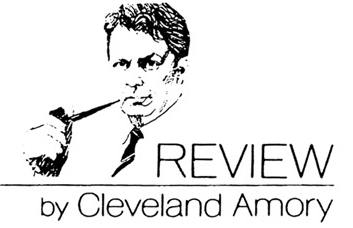 Cleveland Amory's column this week looks backward, not forward, to what he calls the "Summer Similarity Shows." "In the old days, it is true, they gave you nothing but reruns for your money. But is today's system any better - when so much of what they give you is a narow range of what we can only call similarity shows? And then they have the nerve to call them brand new. Listen, if these shows are brand new, we are the New Year baby." He's writing about the variety shows from the past summer - The Golddiggers, Jimmie Rodgers, John Davidson - with "not only the same format and the same guests but, a good part of the time, the same jokes." Take Dean Martin Presents the Golddiggers, for instance. "In our opinion, if the show is billed as Dean Martin Presents, he should be among those present - if not in person, perhaps, at least in spirit." Alas, such is not the case. And the show could've used some singers as well. "The Golddiggers are swingers too - and very attractive girls. But the King Family they're not. We were even disappointed in Lou Rawls, which is rare for us. And poor Paul Lynde was made to be in just about every skit. Very few people are that funny, and Paul is not one of them." Jimmie Rodgers' show doesn't fare much better under the Amory pen. "[O]n a recent show, to try our patience to the breaking point, he had Eddie Fisher on. First Mr. Fisher sang "I've Gotta Be Me" - which in his case is understandable but not necessarily a wise choice. Then Jimmie and Eddie sang "My Way" - which, again, was right far from ours. It is our impression that Mr. Fisher said he had sold, so far, 30,766,000 records. Hardened as we all are to bad news these days, this is still not an easy thing to go to bed on." He also notes that "In these affluent times, there is something about all these country-and-western singers making millions of dollars singing about the poor dead beats of Depression days that we find - well, depressing." That is, except for Johnny Cash, who's too busy singing prison laments - "we will arrest him for disturbing a piece of our minds. We like him best when he's singing hymns." Of course, the time of summer replacement shows will end soon enough. The problem is that it takes the end of the variety show era to bring it about. It's been awhile since we've spent any time with letter writers, so let's see what the viewing (and reading) public has to say. There's a split decision on Neil Hickey's article about Johny Cash from last month. Mrs. David Clark of East Northport, N.Y., in a lengthy letter, sees Hickey's piece as a negative one requiring an enthusiastic, if somewhat hagiographic, defense: "Mr. Cash's success is not due to masses of urban dwellers fleeing their neuorses by a pseudo-return to the farm. If Mr. Hickey should look again, he will see a man who responds to people with warmth and joy; who finds something worth seeing in every man; who loves his country and the variety of people within it; and who speaks of what he sees plainly and simply." 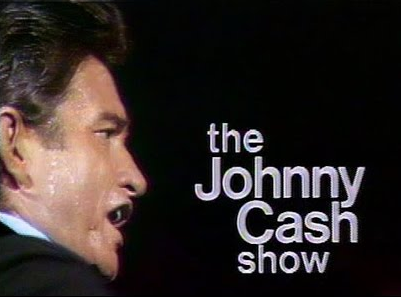 On the other hand, Mrs. Robert Bergfelder of Arlington, Texas apparently saw nothing wrong with Hickey's article: "Thank you for the compassionate article on Johnny Cash - for those of us who love him." (Although not, apparently, as much as Mrs. Clark.) It's always interesting to observe how people take different things from the same article. Meanwhile, a prophetic letter from Allan Konczak of La Salle, Illinois: "Now that Martin Landau and Barbara Bain won't be back, CBS ought to call its series Ratings: Impossible. While the series remained on the air for four seasons following the departures of Landau and Bain in a contract dispute, I don't think there's any disputing that the series' first three seasons were by far the best. *A nice momento for the time capsule. Just as everything in the early '60s was "space age" and every scandal today carries the appendage "-gate," everything in the late '60s and early '70s was part of the "gap," as in "generation gap." In like manner, Marilyn Gross of Roanoke, Virginia, writes "I was under the assumption that Mayberry R.F.D. took place in Mayberry, N.C. Then why do the cars used in this series have California license plates?" Whoops! It may still be baseball season, but c'mon, everyone knows that when the NFL kicks off, everything else ceases to matter. Yes, it's the start of the 50th season of the NFL, with a restrained lineup compared to what we see now. Instead of games on Thursday, Sunday, and Monday nights, it's just one little old game on Sunday afternoon: the St. Louis football Cardinals playing the Dallas Cowboys in Dallas at 1:30 p.m. CT on CBS. Meanwhile, on NBC, the AFL (which began last week) continues its 10th and final season, with the New York Jets playing the Denver Broncos at 3:45 p.m.* Perhaps the best option is not an actual game at all, but NFL Action's "Football Follies," the first and most famous football blooper reel. It's often imitated, but never quite matched, as we see "a kicker who falls flat on his back, a kick-return specialist who can't return kicks, and a team of behemoths delicately dancing to the 'Nutcracker'." A lot of times it's just laugh-out-loud funny. *NBC might well have had a doubleheader scheduled, but their St. Louis affiliate, KSD, opts for the baseball Cardinals vs. the Cubs. The college game on Saturday is Indiana vs. Kentucky, a game that might have some regional interest, but considering the teams will combine for six victories all season, I can't see many people getting worked up over it. I prefer ABC's Wide World of Sports and its live coverage of the Formula 1 Canadian Grand Prix, won by the great Belgium driver Jacky Ickx. 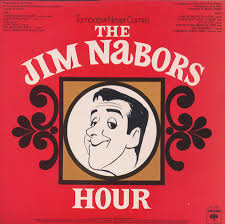 I didn't want to get away without mentioning Dwight Whitney's profile of Jim Nabors. As we learned earlier, the former Gomer Pyle star is taking a big step forward with his new variety show, and he admits to being "scared stiff" at the prospect of leaving the security of the proven hit sitcom. He thought the show had worn out its welcome, though; "Not many comedy situations left to get Gomer into. And the schedule. It was horrendous." Regardless of what CBS might have felt when Nabors told them he wanted to do something diferent (he says they were "thoughtful and considerate. Whatever Ah wanted to do was what they wanted to do. "), the network is thrilled with the results from the inaugural taping. West Coast programming chief Perry Lafferty admits there may have been some concern at first, "But you are talking about a giant star. And with a giant you don't press too hard." As a result, "We've got an even bigger hit on our hands." "I dig the kids," Nabors says. "Oh, some things I don't like. Some of the music. Some of the movies. I despise the drugs. It's just that suddenly there's a whole generation different from me. I try to get in tune with where it's at for them. Theat's our society tomorrow and I'd like to be in on their wave length. Because I love people. It's important in this business." As for his own views on things, "Guess you could say I'm a Nixon Republican. As long as there're 50 men in Vietnam, I got to support them a hundred percent. Now student protest - that's where they're getting their education free. When you work for it you take a different view. Long hair? If it's neat, I certainly don't mind." Most interesting is when the topic turns to the sexual revolution, Here Whitney doesn't quote Nabors, only describing his reaction: "The sexual revolution gives a little more pause. It doesn't meld too easily with the teachings of the church - any church. " Whitney notes that Nabors dates singer Mary Costa, and for awhile was seen with Dorothy Malone. Given what we know about Nabors' personal life (and many suspected it, even then), I wonder just how that part of the conversation went, and why we didn't read more of it. There's more in this week's issue - a look at the 1970 TV sets, a rebuttal by Richard Salant, head of CBS News, on charges that the networks are failing to report important information to viewers, a very funny article by Burt Prelutsky on his experience writing a script for Jack Webb, and a fashion layout by movie star Dina Merrill. But with no disrespect to Miss Merrill, the prize this week isn't to be found on a show, or even in an article, but - of all things - an ad. 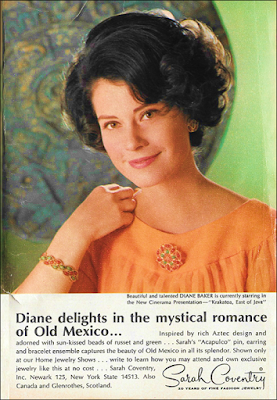 It's the lovely Diane Baker for Sarah Coventry. There's no starlet this week, but who needs one? Finally, a note from the Teletype on the new CBS series The Governor and J.J., starring Dan Dailey as (surprise!) the governor of an unnamed state, and Julie Sommars as his more free-spirited daughter. According to Joseph Finnigan, the series plans guest appearances from time to time by real governors, including the governor of our fair state of Minnesota, Harold LeVander. Did you know, and this is something I learned from a classmate in The World's Worst Town™, that LeVander spelled backwards is "red navel"? I didn't, which surely tells you something about the quality of education in these United States. The Royal Family special also aired on the evening of Sunday 21 September 1969 in Australia. National broadcaster ABC carried the show. Commercial networks were also offered the program but the TV Times listings I have on hand don't acknowledge it... must have been a late change to their schedules if they ended up also showing it. Very unusual for us to have a program broadcast almost in sync with the US, although with timezones the show actually aired in Australia some hours ahead of USA. "Countess from Hong Kong" was from 1967 not 1957. Ugh. Now fixed - thanks. Cleveland Amory's takedown of Eddie Fisher is so perfect it should be studied by schoolchildren. I know - I didn't really have to include it to make the point, but it was too good to pass up. That really is Amory at his best. I have to admit I very much miss the variety show format on television. Shows like the Ed Sullivan show and Hollywood Palace offered us a chance to see a variety of music, comedy, and novelty/circus acts you don't get to see much of nowadays. I am late getting to this, but about the original "Football Follies": among the universe of nine-year-old sports-obsessed boys, of which I was a member, "Football Follies" was considered the greatest thing ever. And although NFL Films did many, many additional editions over the years, the original (with voices provided by Mel Blanc, IIRC) is still the best, and worth seeking out.